It was only about a 45 min drive to Gurnee and pretty easy to get to. If you have ever been to Great America, it is right in the neighborhood. I love the fact that I don’t have to spend 3 ½ hours in a car with potentially crying children. Check-in was a breeze. I love that they use RFID wristbands. The wristbands work as you room key, and even as your wallet if you choose to load it with money. You can use pre-loaded wristbands to purchase food, beverages, use at shops, vending machines and buy arcade tokens. We didn’t have to worry about carrying anything with us; even towels (and life vests) were located in the waterpark. I received a quick tour of the facilities. The atmosphere is Florida Keys. The first level has restaurants, shops, and activities. I also found out that they will be opening a mini golf, Dude's Tropi-Golf, as of this post they are officially open! There is also a fairly large arcade, RipTide Reef Arcade. 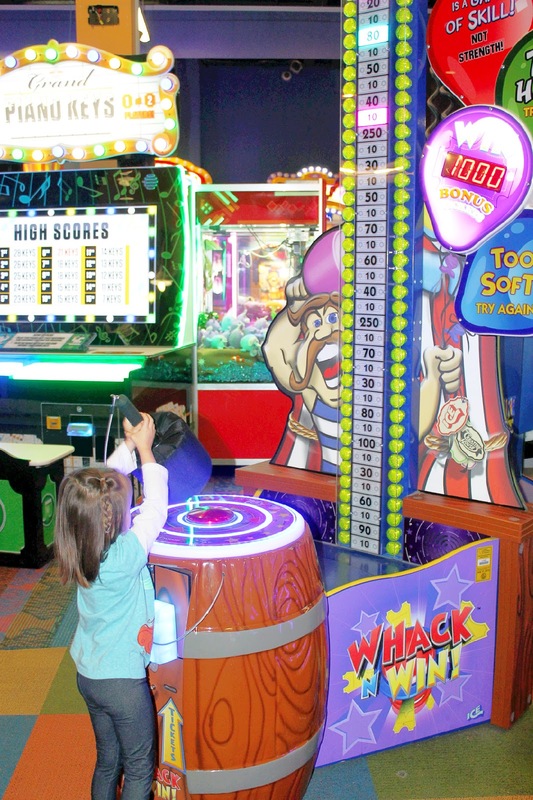 There are many new games to try and they change often, so you could possibly get to play new games on each visit. 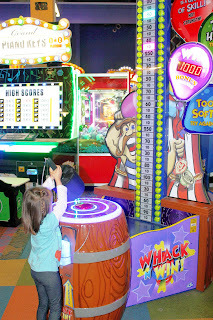 We really had fun playing in the arcade, and I like that I can “cash-in” my tickets and just load them to my token card, so I don’t have to worry about losing them or finding a spot to put them. I was quite surprised with the extra activities they provided throughout the day for the kids. I wish we had more time to do them all. But with two toddlers, a waterpark, naps, and eating we just ran out of time. Our hotel room was very spacious as we stayed at Toucan Two-Bedroom Suite. My mother-in-law joined us for our mini outing, so having the second bedroom was really nice. The room sleeps 6-8 persons, which is ideal for my family. I usually also travel with my brother and his kids. The master bedroom has a king bed, the second bedroom has two queen beds; each room had its own TV. The sitting room has a sleeper sofa, dining table, TV, microwave and refrigerator. The balcony was also a nice touch, but the foggy weather didn’t let us see much of our view. And of course two bathrooms! When you have a large group that extra bathroom is a blessing. We mostly used the Lil' Limers Play Pond area. It is a gated pool has three slides for those who are over the 36’requirement, perfect for our almost 4 year old. 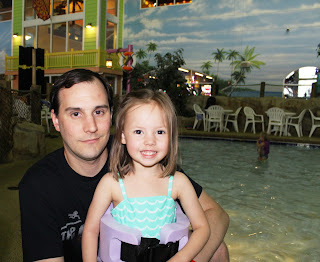 Our one year old enjoyed the water as well as it is not too deep and she can stand/sit in it. 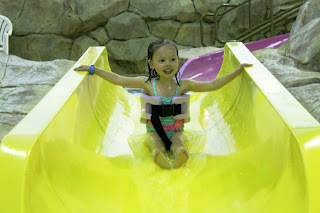 And since we did bring Grandma along, she was able to give my husband and me a break so we could hit those awesome water slides! There are 5 slides (4 were open during our stay). I must say that riding those slides at night time is quite the thrill. You can’t see what’s coming next. 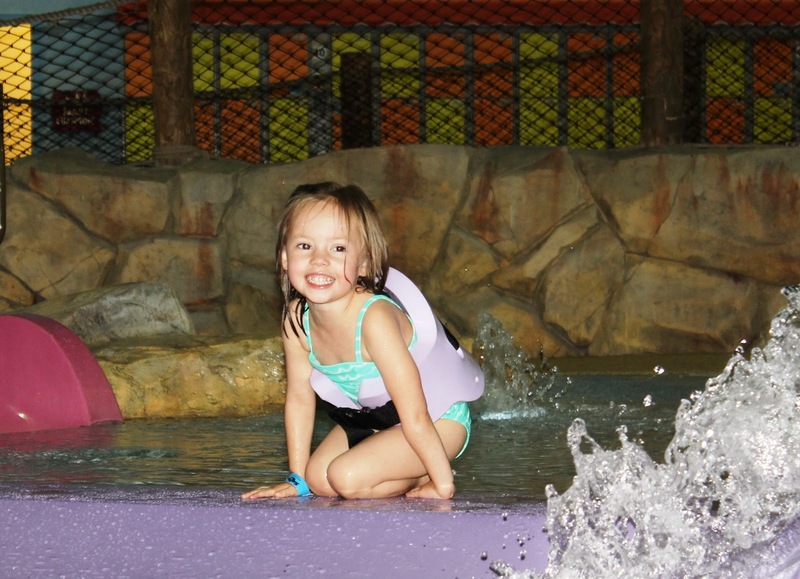 What makes KeyLime Cove different than other waterparks? In 2008 it opened with state-of-the-art ozone sanitation technology. Ozone is 200 times stronger than chlorine but has no effect on skin or hair. Click here to find out more about Ozone. 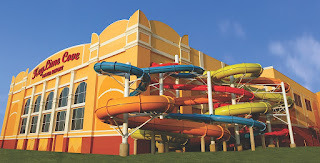 KeyLime Cove offers tours of the pump room on weekends for those interested in checking it out. 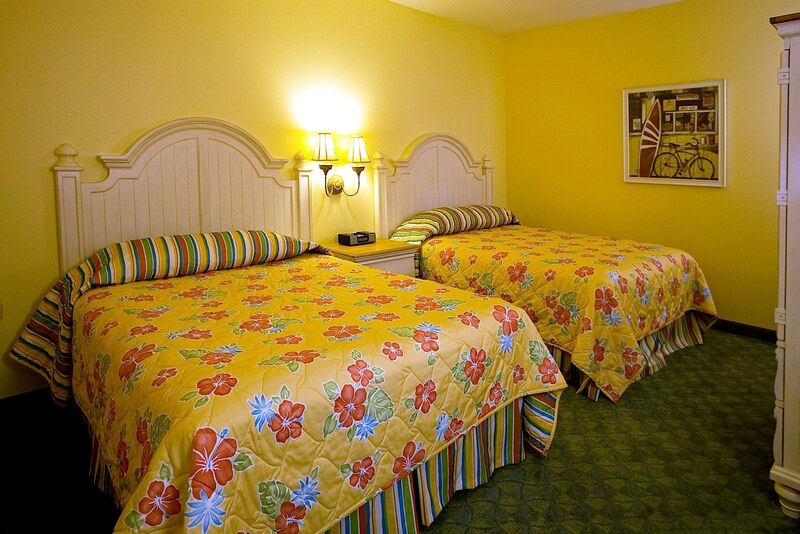 KeyLime Cove is only accessible to those who are staying at the resort. But for a limited time you can get day passes, $30, during Community Days, April 24, 2016 to June 17, 2016 (with the exception of Memorial Day weekend May 27-30). 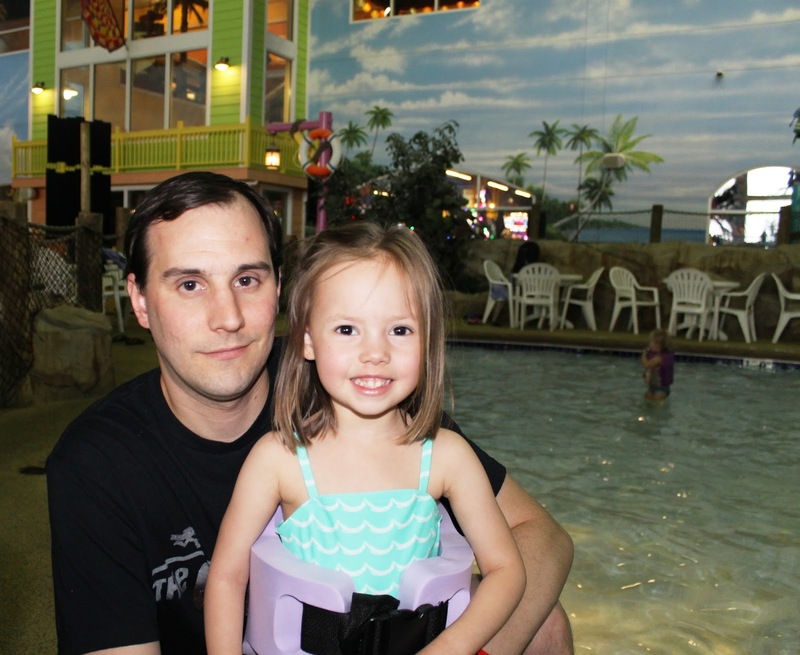 Community Days offers people a chance to enjoy the indoor water park on a date of their choosing within the time line of the event, from 10am-9pm without having to pay for an overnight. Tickets must be purchased through United Way of Lake County, at KeyLime Cove's front desk or click here for more details and online tickets. Proceeds of the Community Days promotion benefit United Way of Lake County and the Gurnee Police and Fire Departments. I love when companies do good for their communities. 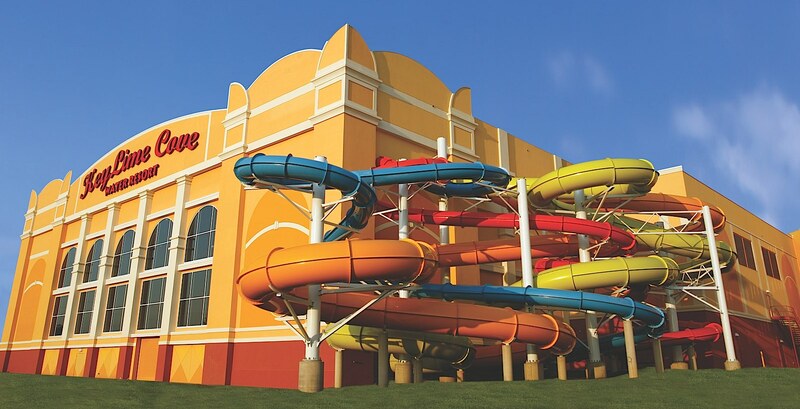 FYI: Check in is at 4PM but you can use the waterpark as early as 1PM, and check out is 11AM, and you can stay until closing! 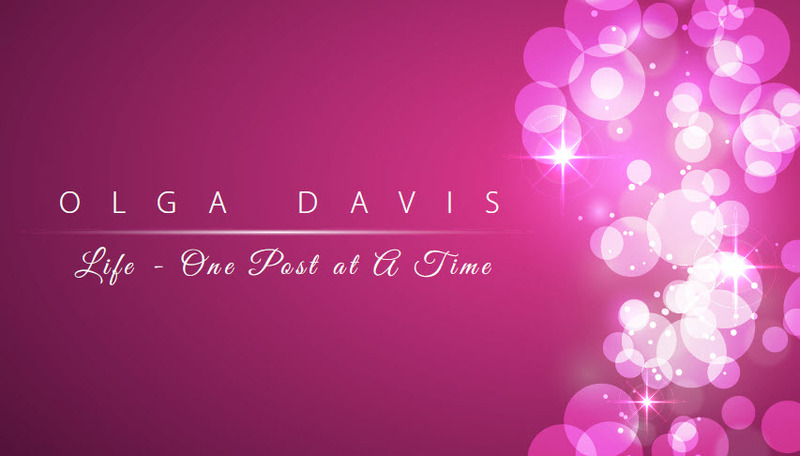 Hope you visit, you'll have a lot of fun. We can't wait to go back with my brother and nieces.